NBA Daily Blog Playoff Edition: Celtics advance to the Eastern Conference Finals, beats the 76ers in Game 7 85-75. Rajon Rondo led the Celtics with a triple-double 18 points, 10 rebounds and 10 assists with 3 steals, including 11 points in the final minutes of the 4th quarter after Paul Pierce fouled out with 4:16 left in the 4th and the Celtics led by only 3 points 71-68. Kevin Garnett finished with a double-double 18 points and 13 rebounds with 2 steals. Brandon Bass scored 16 points. Pierce added 15 points, 9 rebounds, 3 blocks and 2 steals. Ray Allen added 11 points and 4 rebounds. Andre Iguodala led the 76ers with 18 points, 4 rebounds and 3 assists. Jrue Holiday added 15 points, 9 assists and 5 steals. Elton Brand also scored 15 points with 6 rebounds before fouling out in the 4th quarter. Lou Williams off the bench scored 7. Thaddeus Young pulled down 10 rebounds with 6 points. NBA Daily Blog Playoff Edition: 76ers force Game 7 vs the Celtics with win in Game 6 82-75. The Philadelphia 76ers force a 7th and decisive game in their second round series against the Boston Celtics at the Wells Fargo Center 82-75. Game 7 will be played back in Boston on May 27. Allen Iverson, one of the greatest players in 76ers history made a eventful return to Philadelphia to give the game ball before tip-off of Game 6. Jrue Holiday led the 76ers with 20 points, 6 assists, 3 rebounds and 2 steals. Elton Brand finished with a double-double 13 points and 10 rebounds. Evan Turner added 12 points, 9 rebounds and 4 assists. Andre Iguodala also scored 12 points with 6 rebounds. Lou Williams off the bench added 11 points and 6 assists. Paul Pierce led the Celtics with a double-double 24 points and 10 rebounds. Kevin Garnett also finished with a double-double 20 points and 11 rebounds. Rajon Rondo added 9 points, 9 rebounds, 6 assists and 2 steals. Ray Allen also scored 9 points. 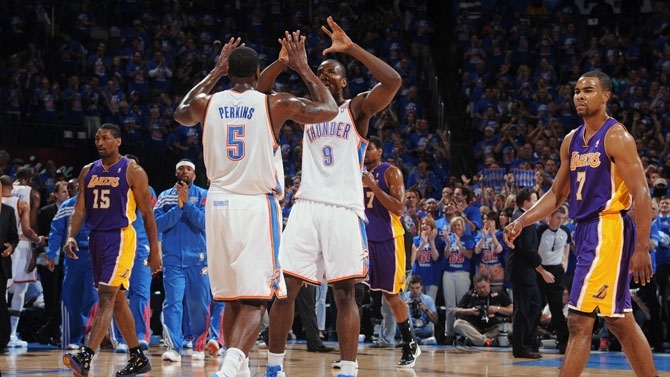 NBA Daily Blog Playoff Edition: Thunder advance to the Western Conference Finals, defeats the Lakers in Game 5 106-90. Celtics go up 3-2 vs the 76ers 101-85. The Oklahoma City Thunder advance to the Western Conference Finals for the second straight season as they take the series win against the Los Angeles Lakers in Game 5 at the Chesapeake Energy Arena 106-90. The Thunder will now face the #1 team in the West, the San Antonio Spurs in the Western Conference Finals which will begin in San Antonio on May 28. Russell Westbrook led the Thunder with 28 points, 4 assists, 3 rebounds and 2 steals. Kevin Durant finished with a double-double 25 points and 10 rebounds with 4 assists and 2 steals. James Harden off the bench added 17 points, 8 rebounds and 4 assists. Kendrick Perkins pulled down 11 rebounds with 6 points and 2 blocks. Serge Ibaka added 8 points, 6 rebounds and 3 blocks. Kobe Bryant led the Lakers with 40 points, 5 rebounds and 2 steals. Pau Gasol finished with a double-double 14 points and 16 rebounds with 3 blocks. Metta World Peace added 11 points, 5 assists, 3 rebounds and 2 steals. Andrew Bynum added 10 points and 4 rebounds. In Boston, the Boston Celtics take a 3-2 series lead as they win Game 5 against the Philadelphia 76ers at the TD Garden 101-85. Game 6 will be back in Philadelphia on May 23. Brandon Bass led the Celtics with 27 points, 6 rebounds, 2 steals and 2 blocks. Kevin Garnett added 20 points, 6 rebounds and 2 steals. Paul Pierce added 16 points, 4 rebounds and 3 assists. Rajon Rondo finished with a double-double 13 points and 14 assists with 4 rebounds and 2 steals. Rookie Greg Stiemsma off the bench added 10 points and 3 blocks. Elton Brand led the 76ers with 19 points, 3 rebounds and 2 steals. Rookie Lavoy Allen off the bench scored 12 points. Evan Turner finished with a double-double 11 points and 10 rebounds with 3 assists. Spencer Hawes and Jrue Holiday each scored 10 points. 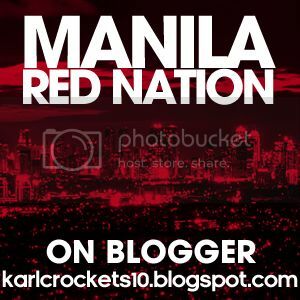 NBA Daily Blog Playoff Edition: Sixers equalize with Game 4 win vs the Celtics 92-83. Lakers take Game 3 vs the Thunder 99-96. The Philadelphia 76ers even up their second round series against the Boston Celtics with the win in Game 4 at the Wells Fargo Center 92-83. Game 5 will be back in Boston on May 22. Andre Iguodala and Evan Turner led the 76ers with both players scoring 16 points each. Iguodala also added 7 rebounds and 4 assists. Turner added 9 rebounds. Lou Williams off the bench added 15 points, 8 assists and 4 rebounds. Thaddeus Young added 12 points, 9 rebounds and 3 assists. Jrue Holiday added 11 points and 7 rebounds. Jodie Meeks scored 9 points. Rookie Lavoy Allen pulled down 10 rebounds with 8 points. Paul Pierce led the Celtics with 24 points, 6 rebounds, 2 steals and 2 blocks. Rajon Rondo finished with a double-double 15 points and 15 assists with 4 rebounds and 2 steals. Brandon Bass also scored 15 points with 5 rebounds. Kevin Garnett pulled down 11 rebounds with 9 points, 3 steals and 2 blocks. In Los Angeles, the Los Angeles Lakers return home and came up with a thrilling Game 3 victory over the Oklahoma City Thunder at Staples Center 99-96. The Thunder still lead the series 2-1 with Game 4 to be played in Los Angeles tomorrow. Kobe Bryant led the Lakers with 36 points, 7 rebounds, 6 assists and 2 steals. Andrew Bynum finished with a double-double 15 points and 11 rebounds with 3 blocks. Pau Gasol also finished with a double-double 12 points and 11 rebounds with 6 assists and 2 blocks. Point guards Ramon Sessions and Steve Blake who came off the bench also scored 12 points. Metta World Peace added 10 points and 2 blocks. Kevin Durant led the Thunder with 31 points, 5 rebounds and 2 steals. Russell Westbrook added 21 points, 9 rebounds and 2 steals. James Harden off the bench also scored 21 points with 4 rebounds and 3 steals. Serge Ibaka added 8 points, 11 rebounds and 3 blocks. Kendrick Perkins blocked 4 shots with 6 points. The Oklahoma City Thunder used a 9-0 run as they come from behind to take Game 2 of their second round series against the Los Angeles Lakers at the Chesapeake Energy Arena 77-75. The Thunder now take a 2-0 series lead as the series shifts to Los Angeles for Game 3 on May 19. Kevin Durant led the Thunder with 22 points including the game-winning teardrop with 18.6 seconds left in the 4th alongside 7 rebounds, 5 assists and 2 steals. Russell Westbrook added 15 points, 6 rebounds and 4 assists. James Harden off the bench added 13 points including key baskets in the 4th quarter alongside 3 rebounds and 2 steals. Serge Ibaka added 8 points and blocked 7 shots. Thabo Sefolosha who defended well against Kobe Bryant scored 6 points. Andrew Bynum led the Lakers with 20 points, 9 rebounds and 2 blocks. Kobe Bryant also scored 20 points with 3 rebounds, 4 assists and 4 steals. Pau Gasol finished with a double-double 14 points and 11 rebounds. Metta World Peace added 8 points, 5 rebounds and 2 steals. In Philadelphia, the Boston Celtics steal one on the road as they take Game 3 against the Philadelphia 76ers at the Wells Fargo Center 107-91. The Celtics retake the series lead at 2-1 as Game 4 will be played in Philadelphia on May 19. Kevin Garnett led the Celtics with a double-double 27 points and 13 rebounds with 4 assists. Paul Pierce also finished with a double-double 24 points and 12 rebounds with 4 assists and 3 steals. 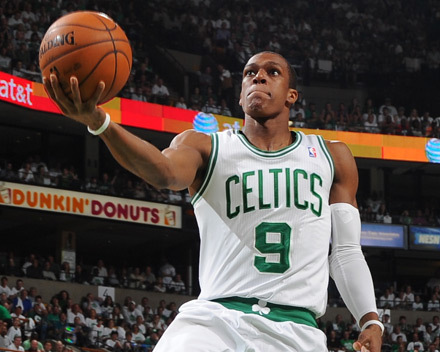 Rajon Rondo also came up with a double-double 23 points and 14 assists with 6 rebounds. Mickael Pietrus off the bench scored 13 points. Brandon Bass added 10 points and 5 rebounds. Thaddeus Young off the bench led the 76ers with 22 points and 5 rebounds. Jrue Holiday added 15 points, 9 assists and 6 rebounds. Lou Williams and Jodie Meeks each scored 13 points. Andre Iguodala added 10 points and 4 rebounds. NBA Daily Blog Playoff Edition: 76ers equalize in Game 2 vs the Celtics 81-80. 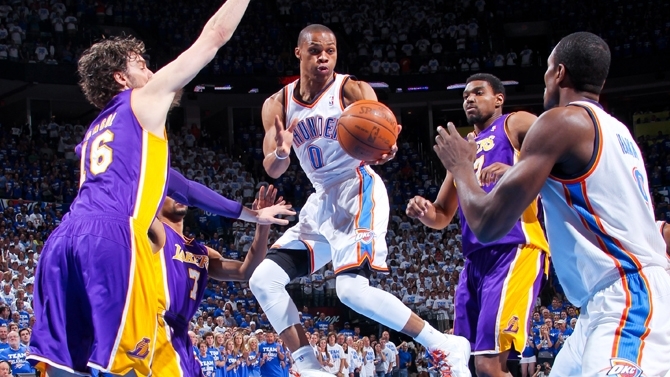 Thunder blow out the Lakers in Game 1 115-82. The Philadelphia 76ers even up their second round series as they defeat the Boston Celtics in Game 2 at the TD Garden 81-80. This is the first playoff win for the 76ers in Boston since 1982 when they took Game 7 of the Eastern Conference Finals at the old Boston Garden to win the series 4-3. The series shifts to Philadelphia for Game 3 on May 17. Jrue Holiday led the 76ers with 18 points, 3 assists and 2 steals. Andre Iguodala added 13 points, 6 rebounds and 7 assists. Rookie Lavoy Allen off the bench added 10 points, 8 rebounds, 2 steals and 2 blocks. Evan Turner also scored 10 points with 6 rebounds. Spencer Hawes pulled down 10 rebounds with 8 points and 2 blocks. Lou Williams added 8 points, 7 rebounds, 3 assists and 2 steals. Ray Allen off the bench led the Celtics with 17 points, 4 rebounds and 3 steals. Kevin Garnett finished with a double-double 15 points and 12 rebounds. Brandon Bass added 12 points and 5 rebounds. Rajon Rondo dished out 13 assists with 8 points, 7 rebounds and 2 steals. Avery Bradley and Mickael Pietrus also scored 8 points. Paul Pierce added 7 points, 5 rebounds and 4 steals. In Oklahoma City, the second round in the Western Conference begins with the Oklahoma City Thunder winning Game 1 of their second round series in a blowout over the Los Angeles Lakers at the Chesapeake Energy Arena 119-90. Game 2 will be played in Oklahoma City on May 17. Russell Westbrook led the Thunder with 27 points, 7 rebounds, 9 assists and 2 steals. Kevin Durant added 25 points, 8 rebounds and 4 assists. Recently crowned Sixth Man of the Year James Harden off the bench added 17 points and 2 steals. Daequan Cook scored 8 points. Thabo Sefolosha, Nazr Mohammed and Cole Aldrich each scored 7 points. Andrew Bynum led the Lakers with a double-double 20 points and 10 rebounds. Kobe Bryant also scored 20 points. Metta World Peace who was jeered by the Oklahoma City crowd after his actions during their last regular season meeting scored 12 points. Pau Gasol added 10 points and 7 rebounds. Matt Barnes off the bench scored 8 points. NBA Daily Blog Playoff Edition: Lakers advance to the 2nd round, defeats the Nuggets in Game 7 96-87. Celtics beat the 76ers in Game 1 92-91. Plus, Grizzlies forcing a Game 7 vs the Clippers with Game 6 win yesterday 90-88. Before I begin with today’s action. I was unable to put up my NBA Daily Blog yesterday since I went out before the Grizzlies vs Clippers game was finished and I was unable to blog it out. So, in this edition, we’ll also highlight Game 6 of their series (see post below). The Los Angeles Lakers are moving on to the second round as they take Game 7 of their first round series against the Denver Nuggets at the Staples Center 96-87. The Lakers will now face the #2 seed the Oklahoma City Thunder. Game 1 will be in Oklahoma City on May 15. 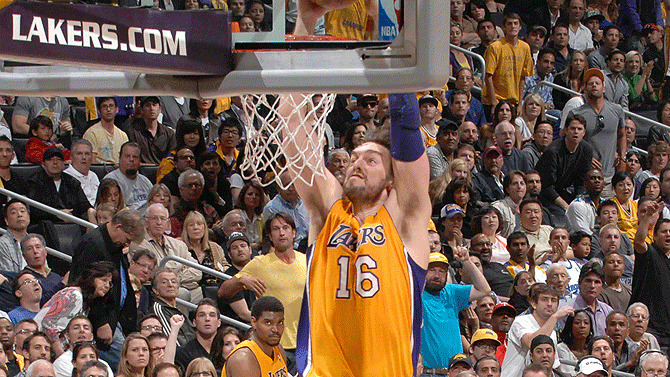 Pau Gasol led the Lakers with a double-double 23 points and 17 rebounds with 6 assists and 4 blocks. Steve Blake off the bench added 19 points and 2 steals while shooting 5-6 from 3 point range. Kobe Bryant added 17 points and 8 assists. Andrew Bynum also finished with a double-double 16 points and 18 rebounds with 6 blocks. Metta World Peace who returned to the hardcourt after serving a 7 game suspension added 15 points, 5 rebounds, 4 steals and 2 blocks. Ty Lawson led the Nuggets with 24 points, 5 rebounds and 6 assists. Al Harrington off the bench also scored 24 points. Arron Afflalo scored 15 points. JaVale McGee pulled down 14 rebounds with 6 points and 5 blocks. Andre Miller pulled down 11 rebounds with 8 assists. Rookie Kenneth Faried pulled down 10 rebounds with 6 points. In Boston, the Boston Celtics continue their playoff campaign into the second round, coming up with a come from behind Game 1 victory over their Atlantic Division rivals, the Philadelphia 76ers at the TD Garden 92-91. The Celtics trailed by 10 at the start of the fourth, but fought their way back and came up with a thrilling victory. Game 2 will be in Boston on May 15 as the Celtics would look to take a 2-0 series lead before the series shifts to Philadelphia. Kevin Garnett led the Celtics with a double-double 29 points and 11 rebounds with 3 blocks. Paul Pierce added 14 points, 6 rebounds, 6 assists and 2 blocks. Rajon Rondo finished with a triple-double 13 points, 12 rebounds and 17 assists with 4 steals. Ray Allen off the bench scored 12 points. Brandon Bass added 10 points and 4 rebounds. Andre Iguodala led the 76ers with 19 points, 6 rebounds, 6 assists and 2 steals. Evan Turner finished with a double-double 16 points and 10 rebounds with 4 steals. Spencer Hawes added 15 points, 8 rebounds and 2 blocks. Rookie Lavoy Allen off the bench added 12 points and 6 rebounds. Yesterday in Los Angeles, the Memphis Grizzlies force a winner take all Game 7 in their first round series as they defeat the Los Angeles Clippers in Game 6 at the Staples Center 90-88. Game 7 will be in Memphis on May 14 where the winner will face the top seeded team in the West, the San Antonio Spurs. Marc Gasol led the Grizzlies with 23 points and 9 rebounds. Zach Randolph finished with a double-double 18 points and 16 rebounds with 3 blocks. Rudy Gay added 13 points and 6 rebounds. Mike Conley also scored 13 points with 4 rebounds and 9 assists. Tony Allen added 8 points, 2 steals and 2 blocks. Blake Griffin led the Clippers with 17 points, 5 rebounds, 6 assists and 3 steals. Eric Bledsoe off the bench added 14 points and 6 assists. Chris Paul added 11 points, 5 rebounds, 7 assists and 4 steals. Caron Butler and Kenyon Martin each scored 10 points. In other news, LeBron James of the Miami Heat was named the 2012 NBA Most Valuable Player. James who won his third MVP award of his career (a back-to-back in 2009 and 2010 with the Cleveland Cavaliers) led the Heat with season averages of 27.6 points, 6.2 rebounds, 5.6 assists and 2.2 steals leading them to a 46-20 record, good for 2nd place in the East. James also joins a lot of good company as he joins Bill Russell, Wilt Chamberlain, Kareem Abdul-Jabbar, Moses Malone, Larry Bird, Magic Johnson and Michael Jordan as players who have won the MVP award at least 3 times in their careers. Kevin Durant of the Oklahoma City Thunder finished second in the voting. While Chris Paul of the Los Angeles Clippers, Kobe Bryant of the Los Angeles Lakers and Tony Parker of the San Antonio Spurs finished 3rd, 4th and 5th respectively in the voting.